Elegant. Stylish. Exceptionally comfortable. 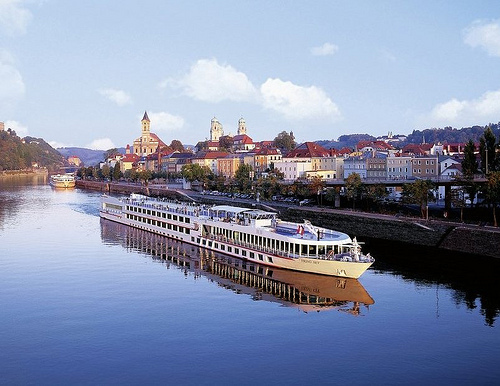 The world’s largest fleet of river cruise ships is also the most beautiful. And since we operate all the vessels in our fleet, there is no detail that goes unnoticed. On board, you are greeted with an abundance of space with room to relax, fresh air to breathe and all the comforts of a fine hotel, one that is designed to blend seamlessly with the spectacular panorama of ever-changing views. Below is a list of ships that sail this itinerary. Go in depth with each ship to see pictures, deck plans, stateroom amenities and more. History lines the banks of the Main, one of Europe’s most intimate waterways. In this land of Franconian wine and Bavarian beer, the famed “Romantic Road” leads to fairy-tale Old Towns. Explore the cobbled streets of Rothenburg and the splendid palace of Würzburg. See the dramatic ruins of Heidelberg Castle. Discover Nuremberg’s rich past. Join us for this fascinating itinerary through Germany. Spend 10 days amidst the timeless elegance of Paris and the breathtaking scenery along the Rhine, Main and Moselle Rivers. Stay in Paris, then enjoy scenic cruising through the Rhine Valley, famous for its many castles and charming towns. Discover multicultural Strasbourg and explore Basel’s Old Town. A joyful rhapsody! Sail along France’s scenic Saône and Rhône Rivers past some of the most beautiful vistas the French countryside has to offer. During your 8-day journey, explore the famed region of Burgundy and the colorful fields of Provence. Visit Gallo-Roman ruins, walk cobbled streets and visit the historic Papal Palace in Avignon. Learn about the region’s time-honored winemaking traditions, sample Burgundy varietals and try the world-famous regional cuisine in Lyon. Discover one of Europe’s most pristine destinations, Portugal. Explore Lisbon, then see unspoiled vistas, stop at ports of call largely unchanged for centuries and sample the local cuisine and port wines on your Douro River cruise. Our most epic cruisetour combines Grand European Tour with a fascinating exploration of the Low Countries. Explore 5 countries in 19 days, beginning with two nights each in medieval Ghent and canal-laced Amsterdam. Then set sail for the Rhine, Main and Danube Rivers, passing elegant castles, emerald vineyards and cultural capitals along the way. This exciting cruisetour offers the ideal way to enhance your Romantic Danube river cruise. Spend two nights each in Dresden and Berlin, two artful cities gloriously rebuilt after World War II. Along the Danube’s fabled waters, you’ll admire glittering capitals from Budapest to Vienna and the stunning vistas of the Wachau Valley. Enhance your Rhine Getaway river cruise with two nights each in Belgium and Holland. This extraordinary cruisetour spans 5 countries in 12 days. You’ll explore medieval Bruges and Ghent and canal-laced Amsterdam, the cultural centers of the Low Countries. Then enjoy the magnificence of the Rhine, sailing past sloping vineyards, fairy-tale castles and quaint villages. The alpine beauty of Bavaria and Austria takes your Danube Waltz river cruise to new heights, with two nights each in Munich and Salzburg. This cruisetour visits the fairy-tale Neuschwanstein Castle and Salzburg’s Old Town. Then you’ll sail the Danube past villages, vineyards and the Wachau Valley to the cultural capitals of Vienna and Budapest. Complement the natural beauty and baroque splendor of your Elegant Elbe itinerary with breathtaking stays in three magical cities on one inspiring cruisetour. After your cruise, enjoy two nights in magical Prague, three in beautiful Kraków with a moving excursion to Auschwitz and two in lovingly reconstructed Warsaw, home of the courageous wartime uprising. Experience the Danube’s rich culture. Visit Vienna’s exquisite museums and impressive architecture during a full day on your own. 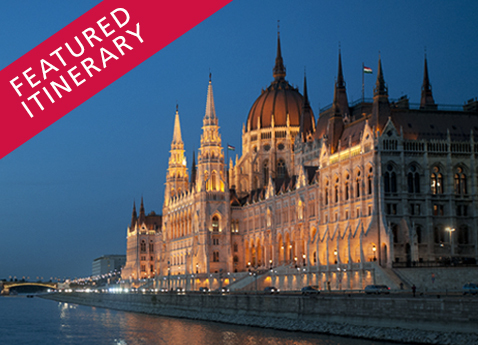 Enjoy ample free time in Budapest, a colorful cosmopolitan city steeped in Hungarian history. And witness the beauty of the Danube Bend. From medieval Nuremberg to Austria’s Wachau Valley, this river cruise is a Danube dream. Follow the emerald banks of the Rhine, exploring two of Europe’s centers of art and culture along the way. Stroll Basel’s medieval quarter and explore Amsterdam’s canals lined with elegant houses. In between, cruise through enchanting storybook landscapes. Explore Strasbourg’s Alsatian beauty, admire Germany’s riverside castles and visit Holland’s iconic windmills.